Suzanne White Hedgecock passed on October 22. She was a talented horsewoman and a friend to many. Sue lived a full life with her love of family, and passion for sport. She was a first class ski coach out of Park City, Utah, and an avid Endurance rider with almost 12,000 miles of AERC competition. She rode at all competitive levels, and also participated in the 2000 mile Pony Express ride across the United States. 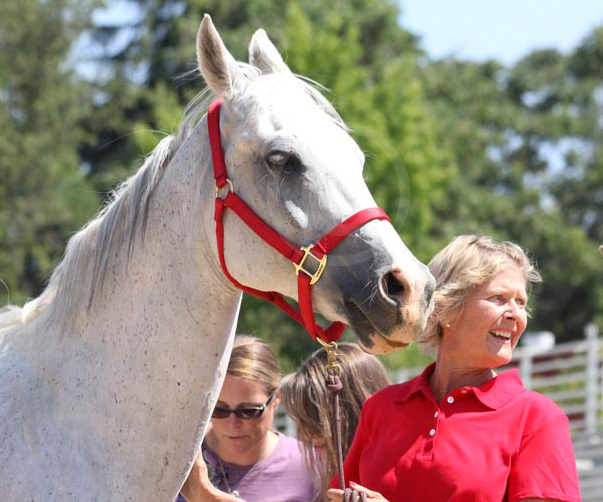 Sue and her horse Julio's Last Chance won the coveted Haggin's Cup Award at the 2012 Tevis, a special lifetime achievement for her. Sue touched many lives and will be missed. Sue always had time to share the sport she loved with newbies. A decade ago she and Tony let me board my horse Barron at their place in Park City. We became good friends. They both were wonderful hosts and very inclusive. They couldn't stand someone being alone for Thanksgiving or Christmas and would open their home to all. I will miss them both. Sue was an excellent horse and human person. She always put the horse and her friends first. We will miss you Sue. She was my neighbor in Alaska for a few years and we managed to borrow horses and ride together a few times at the time in our lives when neither of us had our own. An admirable woman and a reliable friend, we talked horses, life, and all the things that matter. She is gone far too soon. My deep condolences to her family.